Dolby Vision HDR: everything you need to know | What Hi-Fi? What is Dolby Vision HDR? How does it work? How can you take advantage of the HDR format? Dolby has played a key role in the development of HDR for both commercial cinema and home theatre applications. From a home entertainment perspective, the company’s most important contribution has been the advanced form of HDR (High Dynamic Range), known as Dolby Vision. Dolby Vision has the potential to improve consumers’ viewing experience by constantly optimising the way their TVs deliver HDR pictures. It also gives content producers more control over how their HDR programming appears on TVs. And it's coming to smartphones and tablets, too. It was originally widely assumed that Dolby Vision hardware (screens and Ultra HD Blu-ray players) needed to carry a dedicated chip. However, it is now possible to add Dolby Vision support via a firmware update to devices with sufficiently powerful processors. The industry standard HDR10 format is free for manufacturers to use, but Dolby Vision requires the payment of a licence fee. So what’s so special about Dolby Vision that hardware brands and consumers would pay extra for it? Quite a bit, actually. The most significant advantage of Dolby Vision HDR versus HDR10 is the addition of dynamic metadata to the core HDR image data. This metadata carries scene-by-scene instructions that a Dolby Vision-capable display can use to make sure it portrays the content as accurately as possible. Dolby Vision-capable TVs combine the scene-by-scene information received from the source with an awareness of their own capabilities in terms of brightness, contrast and colour performance. With HDR10 content, your HDR TV only receives static metadata; relatively basic ‘global’ information on the content being shown that applies to the entire film or TV show. It can’t provide a display with updates on how each specific shot or scene should be shown. Nor does HDR10 carry the same facility for continually optimising the picture to the capabilities of the screen it’s showing on. Dolby Vision is built on the same core as HDR10, which makes it relatively straightforward for content producers to create HDR10 and Dolby Vision masters together. This means that a Dolby Vision-enabled Ultra HD Blu-ray can also play back in HDR10 on TVs that only support that format. Dolby Vision allows content producers to have either one or two ‘layers’ of data; one carrying just an HDR signal, the other carrying a standard dynamic range (SDR) signal. This single HDR/SDR workflow approach makes Dolby Vision a convenient tool for content creators and broadcasters to use. Another advantage of Dolby Vision is that the metadata is embedded into the video signal, meaning it can run across ‘legacy’ HDR connections as far back as version 1.4b. Despite only using static metadata, HDR10 requires HDMI 2.0a compatibility. On the content production side, Dolby Vision seems more focused on pushing HDR to its technical limits. The minimum specification for Dolby Vision mastering requires the use of reference monitors with a contrast ratio of 200,000:1, peak brightness of 1000 nits, colour range ‘approaching’ the Rec 2020 standard, and support for the SMPTE ST-2084 HDR format. However, Dolby has also developed a reference ‘Pulsar’ monitor that provides an 800,000:1 contrast ratio, a peak brightness of 4000 nits, and the so-called P3 colour range used in digital cinema applications. Given its greater creative palette, and the drive towards delivering consumer TVs with ever greater brightness (some of Samsung’s 2018 TVs claimed to hit over 2000 nits), it’s certainly tempting to see this Dolby Pulsar monitor as a glimpse of HDR to come. Does Dolby Vision deliver better pictures? Our initial experience of Dolby Vision in the UK was limited to a few Netflix and Amazon streams, plus a handful of Dolby Vision film clips viewed on LG Dolby Vision TVs, and our impressions were that Dolby Vision makes a difference for the better. In a head-to-head comparison of Dolby Vision and HDR10 demo clips, Dolby Vision images appeared to contain more tone definition in bright areas; more balanced, nuanced and natural colours right across the spectrum; better contrast range management; and a greater sense of detail – presumably a side effect of the colour and light management improvements. However, we've since done a head-to-head comparison using two discs: Despicable Me and Power Rangers in 4K Blu-ray, and the results were unexpected. With Despicable Me, the Dolby Vision effect came across looking rather flat and contrast was more subdued; it was surprisingly less vibrant and spectacular than the HDR10 version of the film. The Dolby Vision version of Power Rangers, however, is even punchier and more vibrant than the HDR10 alternative, with more nuance thanks to the extra detail revealed in the brightest and darkest areas of the image. It’s not utterly transformative, but it is quite clearly better. Since Dolby Vision is applied on a disc-by-disc and frame-by-frame basis, it could well be that Despicable Me just isn’t a particularly good example of its implementation, while Power Rangers is more typical of what you can expect from the format. The small sample size means we can’t draw absolute conclusions on this matter, but what's clear that, when implemented correctly, Dolby Vision can produce marked improvements on an already-impressive HDR10 presentation. We can only take each disc on its own and see how well Vision performs on a case by case basis. How can you watch Dolby Vision? With more and more 4K Blu-ray discs with Dolby Vision hitting the shelves, an increasing number of 4K Blu-ray players now come with Dolby Vision support as standard, including top end five-star players like the Cambridge CXUHD and Panasonic DP-UB9000 and the 2018 Award-winning Sony UBP-X700, together with upcoming 2019 models from Panasonic and Sony. It’s a more complicated story when it comes to TVs. Not all manufacturers support Dolby Vision and those that do don't implement Dolby Vision on all their models. For the likes of LG and Sony it tends to be supported on more premium ranges. Panasonic's GZ2000 flagship 2019 OLED TV is the first Panasonic set to ever support Dolby Vision. The manufacturer previously nailed its colours to the mast of rival format HDR10+ but it appears to be softening its stance. This goes for its 4K Blu-ray players too. Dolby Vision is also available via the Google Chromecast Ultra and, more recently, the Amazon Fire TV Stick 4K, while in the US, Vizio, Hisense, LeEco, Philips (which has a different owner to Philips in Europe) and TCL all already have Dolby Vision TVs on sale or set for launch. And which brands don't support Dolby Vision? Samsung and Philips are the biggest hardware brands that don’t yet support Dolby Vision on any of their products. There's the issue of adding to manufacturing costs with the licence fee, and the companies have stated that they trust their own TV processing, and the capability of their own hardware, arguing that it optimises HDR10 images efficiently enough without Dolby Vision. Which, in the Philips 55POS9002's case, seems to have a point. However, that doesn’t take into account Dolby Vision’s potential for content creators to have more say over how their content appears. But the main reason Samsung and Philips aren't currently courting Dolby Vision is because they're instead backing a royalty-free dynamic metadata HDR system called HDR10+. Developed by Samsung, and with 20th Century Fox and Warner Bros as partners to license HDR10+ to other manufacturers, it's a direct rival to Dolby Vision. Amazon Prime Video is also using this technology on a limited amount of content. Samsung claims there are over 1000 titles available in HDR10+ on Amazon, including The Grand Tour but currently, compatible TVs are unable to flag up when they're receiving such content. This is set to change on a number of 2019 models. What Dolby Vision content is available? A number of major film studios including Lionsgate, Sony Pictures, Universal and Warner Bros - have all released Dolby Vision UHD Blu-rays. Despicable Me and Despicable Me 2 had the distinction of being the first 4K Blu-ray titles with Dolby Vision to hit the market. Not the most scintillating start, but it’s picked up since then. Existing titles include Solo: A Star Wars Story, Avengers Infinity War, Jurassic World - Fallen Kingdom - see our full list of upcoming 4K Blu-ray releases. Things are a bit more advanced on the streaming side. In the UK, both Netflix and Amazon Prime Video support Dolby Vision HDR streams, while in the US they are joined by VUDU. Netflix shows that support Dolby Vision include Marvel's Daredevil, Jessica Jones, Luke Cage and Iron Fist, as well as other Netflix Originals such as Lost in Space, Altered Carbon, Santa Clarita Diet, Stranger Things series two and Dynasty. Meanwhile, Amazon Video is much more sparse when it comes to Dolby Vision, with only a limited amount of content available, including Jack Ryan and a handful of Sony Pictures films such as After Earth, Fury, Elysium, Men in Black 3 and The Amazing Spider-Man 2. More recently, Rakuten has partnered up with Dolby and LG to bring Dolby Vision (and Atmos) movies to its film rental service. Titles include modern blockbusters such as Blade Runner 2049 and Baby Driver and older films such as Bad Boys II and The Amazing Spider-Man. The PC game Mass Effect: Andromeda was the first game to support Dolby Vision, heralding a whole new outlet for the format. The Xbox One X and S both support Dolby Vision following a software update, but it's unlikely Dolby Vision support will ever arrive on Sony's PlayStation 4. Dolby Vision can also be applied in a live broadcast environment – though we’re not aware yet of any broadcaster announcing plans to use it. Besides, another format, Hybrid Log Gamma (HLG), is currently the default format used with 4K broadcasts. MORE: Amazon Prime Video vs Netflix – which is better? What about Dolby Vision on mobile phones and tablets? Fancy enjoying Dolby Vision videos while on the bus or train to ease your daily commute? There is now a small selection of smartphones that let you do just that. The LG G6 was the first smartphone to come equipped with Dolby Vision HDR. Apple dominates the list, with the vast majority of its most recent handsets supporting the format, including the Apple iPhone X, iPhone XS, XS Max and iPhone XR. Currently, the only tablets compatible with the format are second and third generation Apple iPad Pros. What's the future of Dolby Vision? It's of course not just consumer products that support Dolby Vision. 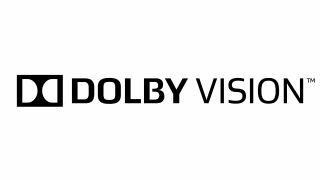 The UK's first Dolby Cinema offering Dolby Vision and Atmos is now open, proving yet further that the company is eager to get Dolby Vision in front of more eyes. Dolby has gone out of its way to dismiss talk of any possible format war, positioning its technology as a ‘value added’ proposition in relation to HDR10, not a direct competitor. Dolby Vision is essentially extra information applied on top of an HDR10 core, so it’s easy to ensure that all Dolby Vision content is also compatible with devices that only support HDR10. It’s not mandatory for a content creator to deliver both HDR10 and Dolby Vision support though. US streaming platform VUDU did not initially support HDR10 alongside Dolby Vision, nor did Vizio’s first Dolby Vision TVs. Both have now added HDR10 support, so there is currently no Dolby Vision platform that doesn’t support both. There's no doubt the current HDR landscape is a little rocky, especially when you throw HLG (the broadcast HDR TV format), the LG-only Advanced HDR by Technicolor and, more crucially, Vision's main rival HDR10+ into the equation. Unfortunately, there's a chance it could only get more confusing as the new formats and standards settle. But fear not - we'll be on hand to help you cut through the jargon.